This is an abridged version of The Non-directive Approach in Group and Community Work by the same authors, published by Oxford University Press 1967, fourth edition 1978, now out of print. 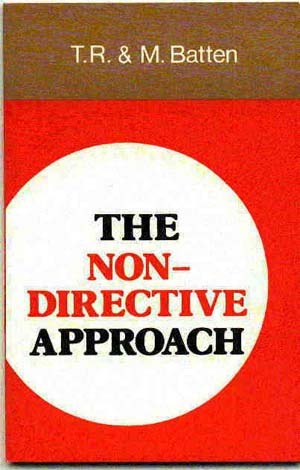 This book, written in a plain, direct and lucid style, is a critical study of the nature, scope and limitations of the non-directive approach. The directive and non-directive approaches are defined and contrasted and their relative uses discussed and illustrated. This section of the original publication has had profound, dramatic and far reaching effects on the fields of community development, community work, social work, adult education and church work. "The section in defence of the non-directive approach is convincing, even eloquent at points. ...It is difficult to find fault with as useful a book as this is. The Battens are widely experienced and their recommendations are both practical and consistent in a non-directive philosophy."